Davis Community Church will present two spring concerts, the first on Sunday March 19, the second on Saturday, April 22. 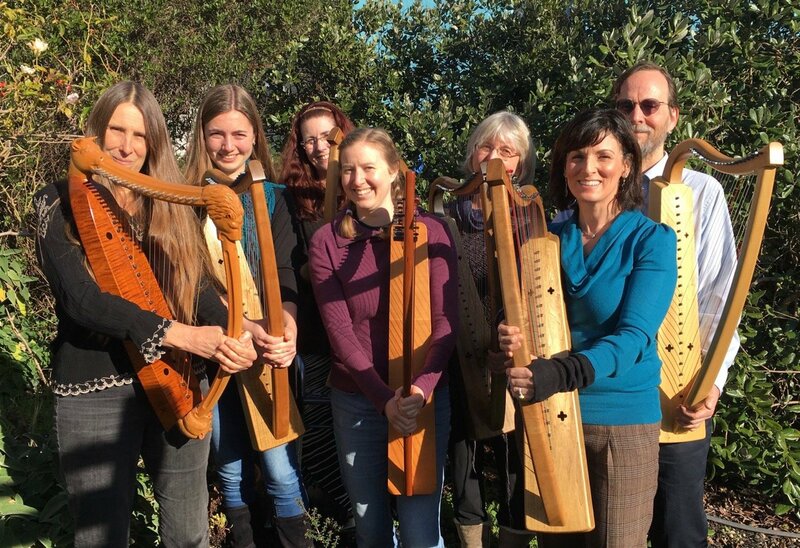 Harp ensemble, Angelorum – the world’s only medieval harp choir – and California Celtic Harp will offer a shimmering tapestry of sound ranging from early music to contemporary compositions inspired by nature, fantasy and myths. Angelorum, based in the San Francisco Bay Area, has performed with Chanticleer in the production of The Resurrection Play of Tours and with Ensemble Alcatraz and KITKA on their CD Cantigas de Amigo. The program will include pieces from the Magnatune best-seller The Once and Future Harp. The concert is in preparation for an upcoming trip to the 2017 Edinburgh Harp Festival. 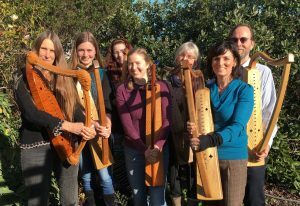 In addition, the group is producing a 20-minute documentary telling the story of the trip and the fascinating process of how harps are made, as well as interviews with the harpists and harpmakers. The film is intended to share both personal and group experiences that illustrate how music can be both healing and transformative. The concert begins at 4 p.m. in the DCC Sanctuary at 4th & C St., downtown Davis. The suggest donation of $10 will support the groups’ travels and filmmaking adventure. 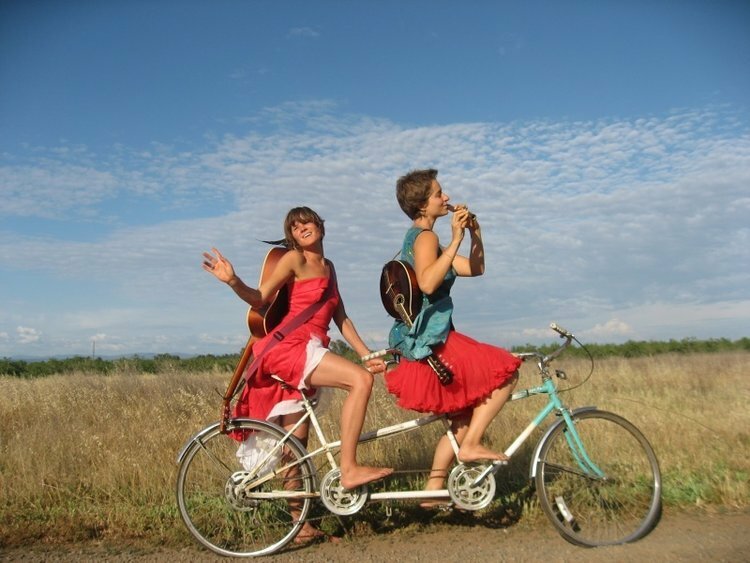 An Earth Day concert on April 22 will feature Mamuse, a duo of brilliant and haunting harmony and an entire family of acoustic instruments including upright bass, guitar, mandolin, ukulele and flutes. With nine delicious years of co-creation and four full-length albums, Mamuse presents music that nurtures and uplifts human hearts. In collaboration with The Do Good Shop, the church will provide a pop up shop of fair trade gift items. The Do Good Shop (thedogoodshop.org) is a local non-profit boutique that supports artisans around the globe through fair, meaningful employment. The concert begins at 7 pm in the DCC Sanctuary at 4th and C St., downtown Davis. The suggested donation of $15 will offset the cost of the event and refreshments. 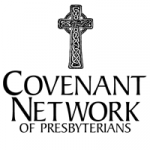 Tickets for both concerts are available online at dccpres.org or in the church office at 412 C Street, Davis. The link for online purchase of tickets is here. Please don’t hesitate to call should you have any questions: (530) 753-2994.